Calgary, April 4, 2019 — Nearly 200 of the best and brightest talents in the Alberta magazine industry gathered in Calgary on April 4 to honour the winners of the Alberta Magazine Awards. The annual event, hosted by the Alberta Magazine Publishers Association (AMPA) and judged by industry leaders from across North America, showcases the outstanding work of magazine professionals in the province. “We’re delighted to celebrate another successful year in Alberta magazine publishing. The work all our member magazines produce contributes to the province’s cultural vibrancy and exemplifies the enduring resilience of magazine media,” said AMPA executive director Suzanne Trudel. “These finalists and winners represent the best of more than 200 nominees, whose work started at excellent and rose from there.” The Alberta Magazine Awards program honours and celebrates the work of Alberta’s magazine creators: art directors, writers, photographers, editors and illustrators. Collectively these individuals bring “passion and insight to our unique Alberta culture and ensure Alberta voices and stories are heard,” said Trudel. Awards were presented for excellence in magazine content published in 2018 in 19 Showcase categories and five Achievement award categories. Avenue Edmonton was named Magazine of the Year. Judges said the magazine “stands tall among Canada’s city mags with its stellar packaging and design, and ability to provide deep insight into how Edmontonians live and what’s important to them.” Its ability to engage readers through compelling and relevant stories carried the magazine to top spot. Alberta Views founding publisher Jackie Flanagan was named the Achievement in Publishing recipient for her significant industry contributions and the success of her magazine in delivering on its mandate to build community, engage thoughtfully with the critical issues of our time, and act as a visionary and champion for new writers and fresh points of view. Thanks to her efforts, Alberta Views has showcased not only notable Canadian magazine writers, but up-and-coming journalists and academic writers, whose thought-provoking work Flanagan has recruited and developed for a popular audience. Best New Magazine was awarded to newcomer Archive, a quarterly lifestyle magazine created by Shari Johnston and Heather Smith. A wide range of magazines from across the province earned podium spots for their work in multiple editorial and design categories. See the full list of Showcase Awards finalists and winners and Achievement recipients by viewing the Winners and Finalists document. 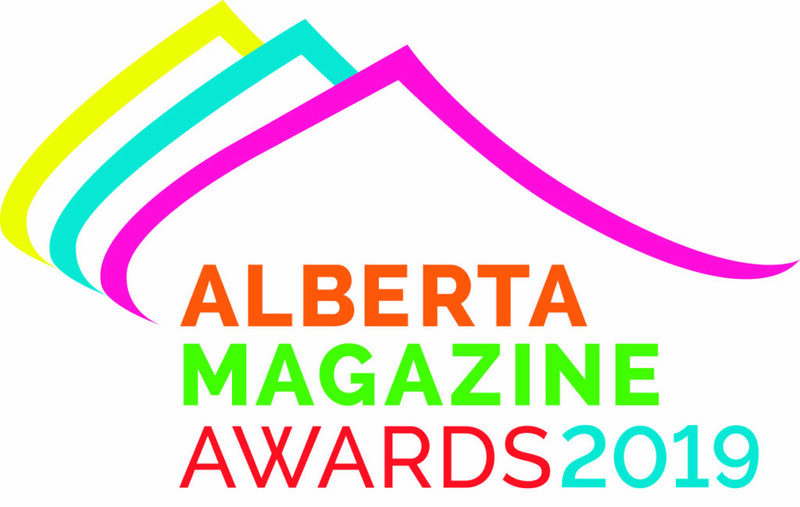 Read their award-winning entries online at albertamagazines.com. The Alberta Magazine Publishers Association (AMPA) is a non-profit industry association that promotes, supports and advocates on behalf of the Alberta magazine publishing industry.